apple watch floral band for women fits 38/40mm, 42/44mm New apple watch series 4, apple watch 3, apple iwatch 2, apple watch series 1, watch Nike, apple sport Edition. And it fits wrist size about 5.5″–7.8″. This apple watch silicone straps are made of pure silicone and custom high-performance fluoroelastomer. 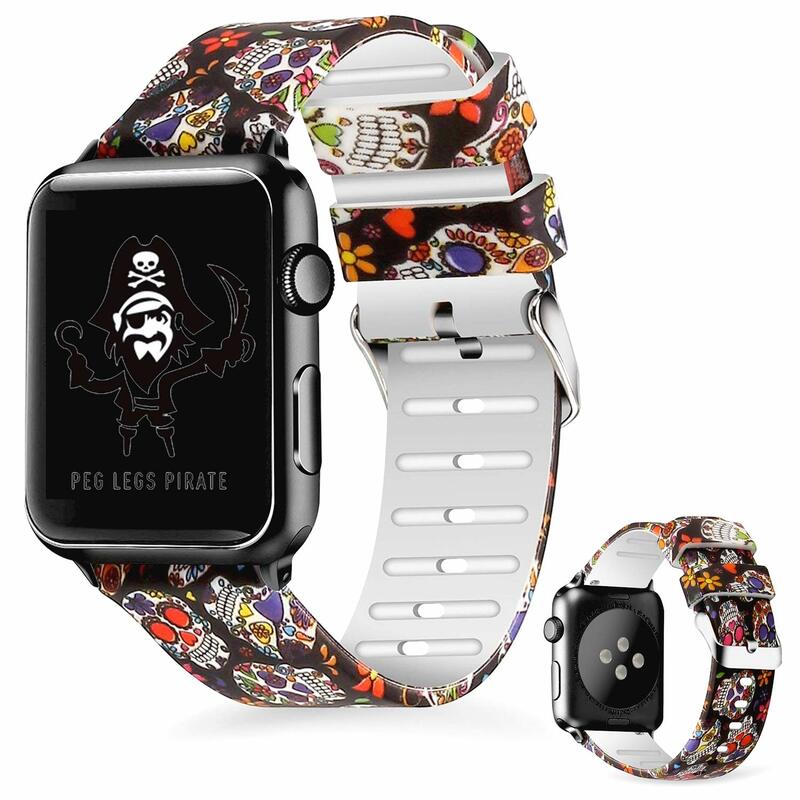 Furthermore, these apple watch skull pattern bands are comfortable and non-toxic for everyday wear. Make you outstanding on Halloween Day. If you want more other style pattern band, either wide band or slim apple watch band, you can learn more about them on this link.